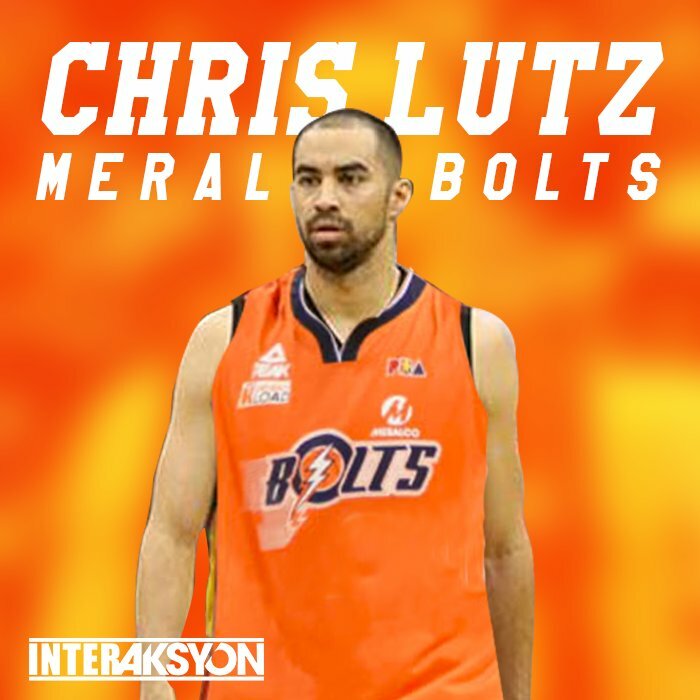 Hoop Nut #PBA2017 2016-2017 PBA Philippine Cup Chris Lutz Meralco Bolts PBA Will Chris Lutz recharge the Bolts? Will Chris Lutz recharge the Bolts? Free agency isn't usually a deep source of headlines in the PBA, but Chris Lutz and the Meralco Bolts changed that today. The talented Filipino-American wingman recently ended his contract with the San Miguel Beermen, and many PBA fans waited with bated breath about what decision the former Marshall Thundering Herd would make. Because he hardly had consistent playing time at San Miguel Beer, Lutz was expected to sign elsewhere, perhaps with either of SMB's sister teams - Star or Ginebra. The 6'3 native of Bedford, New Hampshire has great size for his position, and he possesses an enviable skill-set comparable to the guy behind whom he plays — Marcio Lassiter. Lutz and Lassiter, in fact, were teammates on the original Gilas Pilipinas team that saw action in the 2010 Asian Games, 2010 FIBA Asia Cup, 2011 FIBA Asia Championship, and two FIBA Asia Champions Cups (2010 & 2011). Both were known as defensive stoppers, playmakers, and spot-up shooters, and both were taken in the 2011 PBA Draft. Since then, however, it's Lassiter whose career has prospered. In their first five seasons, Lassiter and Lutz have entered divergent paths, with the former's stats much more glittery. In 227 career games by the end of the 2015-2016 season, Lassiter's averages are the following: 13.2 points, 4.2 rebounds and 2.6 assists per game while shooting 39.9% from beyond the arc. Lutz, meanwhile, had an outstanding rookie season for the Petron Blaze Boosters, though his numbers have taken a big hit ever since. As of the end of 2015-2016, Lutz averages through 204 games are: 8.5 points, 2.8 rebounds and 2.8 assists per game while shooting just 28.8% from three-point range. Lutz's minutes played have trended downwards throughout his career, and it reached a new low last season when he saw action for barely more than 16 minutes per outing. Not surprisingly, Lutz chose to ditch SMB and jump ship to the "other side," picking the Meralco Bolts. Will it be a good fit, though? The Bolts were on a high to end the 2015-2016 season, finishing second to Ginebra in the 2016 Governors' Cup, but the Norman Black-mentored squad has struggled in the 2016-2017 Philippine Cup, bringing up the rear with a lowly 2-win, 7-loss slate. They've struggled big time this conference mainly because they have lacked a big wing to complement the talented Chris Newsome. Yes, Jonathan Grey has been great and Jared Dillinger is still around, but the former is still inconsistent while the latter seems over-the-hill. Having Lutz in tow gives coach Black the kind of well-rounded two-guard who can potentially move the needle in a significant way. That's grounded on two things, though: Lutz has to be healthy, and he has to rediscover the production that made him a great rookie in 2011-2012. Lutz has had a history littered with injuries, and to be fair to the Beermen, that's a big reason the Fil-Am hasn't played much of late. On the other hand, when at peak health, Lutz has the skills to be among the most productive wingmen in the PBA. If coach Norman can unlock that dormant potential in Lutz, the 31-year-old may yet reignite his career and, more importantly, give the Bolts' campaign that much-needed recharge.